After 5 years since their last collaboration was released, four independent-minded friends got back together in 2010 and decided to do something fun…create music that they liked, the way they wanted to, just like when they started. What resulted is Garbage’s self-produced, independently released fifth studio album. 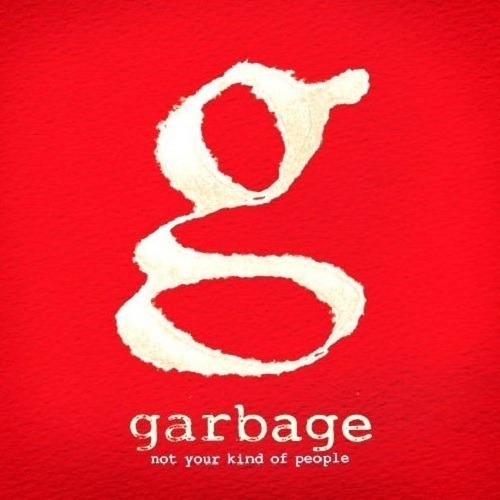 Not Your Kind of People marks a return to the sound of Garbage’s first two albums when vocalist Shirley Manson, and musicians Duke Erickson, Steve Marker and Butch Vig surprisingly lit up the music world with smash hits in 1995 and 1998. On their latest offering, Garbage didn’t want to re-invent themselves, but embrace exactly who they are. They created a bunch of songs over a period of nearly 2 years in the spirit that started it all when they formed in 1994… “make a record sound like something that we want to hear when we’re driving the car”. Without the pressures of a record company interfering with their creativity, they were allowed to return to the studio and do just that, drive the car themselves. From the intro of the opening track, “Automatic Systematic Habit”, you’re seemingly alerted that something unexpected is about to happen. Then you find yourself asking, “Wow, there are artists still making music like this?” With their noisy guitar and big electronic beats that question repeats itself throughout the CD, especially on rockers like “Battle In Me” and “Man On A Wire”. Don’t be fooled by the soft opening of “Control”, after Shirley repeats the line, “Maybe I’ll hold my breath and jump right in…” you’ll feel like you’ve really jumped into something much different than today’s fre-fab pop. The vocal layering on the title track “Not Your Kind Of People” is echoed by the hugely produced layering of sound on songs like the intriguing “I Hate Love”. Two of my favorite tracks on this album are “Big Bright World” & “Felt”, which strangely remind me of Debra Harry and Blondie, but much bigger. If you opt to purchase the deluxe edition with four extra songs, what you’ll find is three songs that take Garbage’s signature huge production endeavors to another level…big time. After all, isn’t the meaning of deluxe an over-the-top version of the original. In contrast, the other song is a beautifully simple gem with acoustic guitar called “Bright Tonight”…my overall favorite. My guess is that Garbage fans will love this CD. It’s exactly what made them fall in love with them. It’s a sound and style that is truly their own and I don’t think can be duplicated by anyone but them. To those who never got to know Garbage and won’t stray from their comfort zone of iced tea and sunny days, it might not hurt to try some black coffee on a rainy day and give this CD a listen. You just might like it…I did.